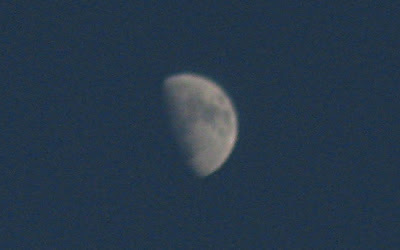 This mediocre moon photo is the best I can do with my Canon PowerShot A3100 IS with only 4x optical zoom. 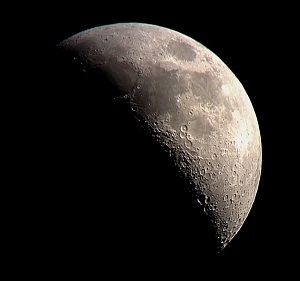 Right now, the moon is 231,634 miles away at 63% illumination. It's only 8:45pm, but my white balance and -2 exposure makes the sky look much darker. The sun will set at 8:59pm and the sky will remain fairly light until around 9:30pm or so.